Sorry friend, this has to go into support. The Mods already moved it for you. Hope this gets resolved quickly, friend. 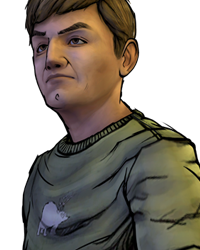 You originally put your thread in Telltale talk when you should've put it in Support, Mods are able to move threads to different parts of the Forum. A mod moved your thread to the correct section (Support) and hopefully soon you'll get contacted about your issues by Telltale support teams. My apologies for the delayed response, unfortunately games cannot be transferred between different platforms. If you would like to play the Xbox One version of one of our games, you will need to acquire that particular version of the game from the Xbox Marketplace.